Richmond Terrace is the longest street named “Terrace” in New York City, and for all I know, anywhere. 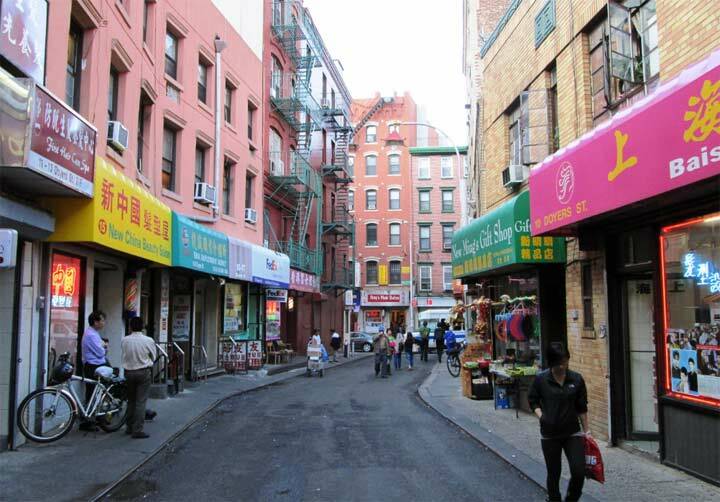 In New York City, streets named “Terrace” are usually a block long, or even dead ends. 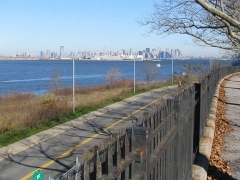 Staten island, though, has two lengthy Terraces…this one, and Ocean Terrace in Todt Hill, which runs from the Staten Island Expressway to Manor Road. 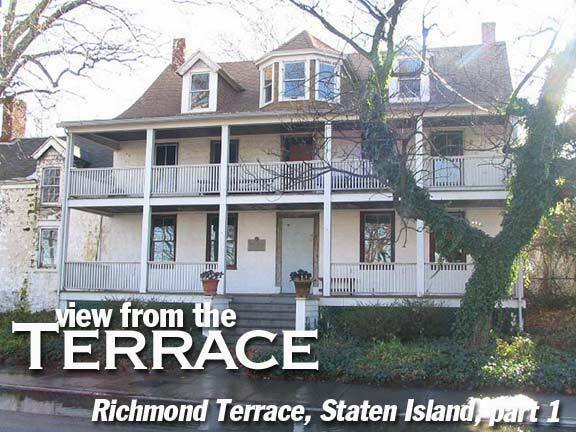 Richmond Terrace begins at Staten Island’s Borough Hall across from the ferry landing, and runs along Staten Island’s northern shore…dead-ending at the Arthur Kill. 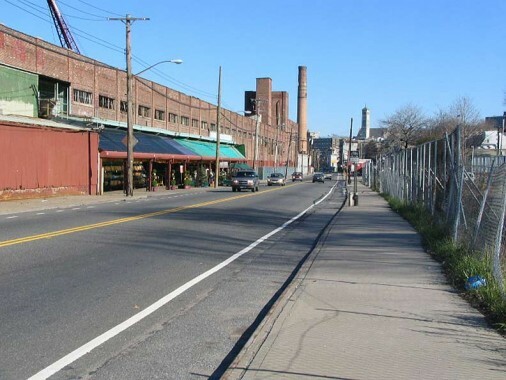 In Staten Island, some of its main streets, such as Victory Boulevard, Richmond Terrace and Arthur Kill Road all dead end at the water’s edge. All three of these roads led to long-defunct ferries to the mainland, and were main coach routes to Trenton, Philadelphia, and other locales along the east coast. 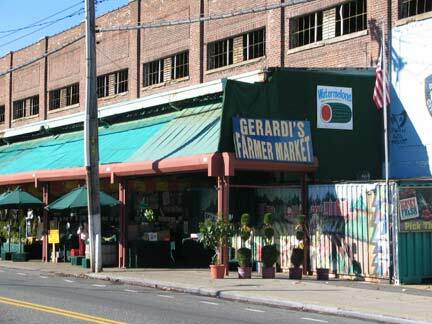 The Terrace skirts many amazing architectural neighborhoods, such as New Brighton; Staten Island’s former shopping mecca, Port Richmond; and can boast spactacular views of Manhattan, less spectacular ones of Bayonne, New Jersey, but much more picturesque ones of the Bayonne Bridge. 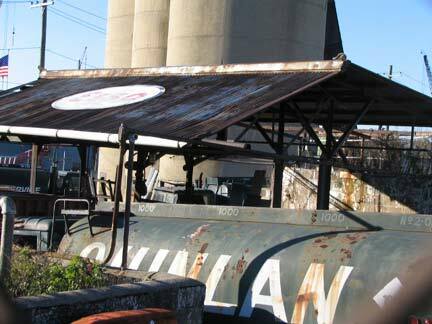 We encounter one of NYC’s little-known garden paradises, Sailors’ Snug Harbor/Staten Island Botanical Garden, and gritty maritime factories and junkyards. Until 2005, when a multimillion-dollar restoration project was completed, the Staten Island Ferry Terminal Building had remained pretty much unchanged from when it was first built in 1951 (replacing an earlier terminal that had burned down in 1946). 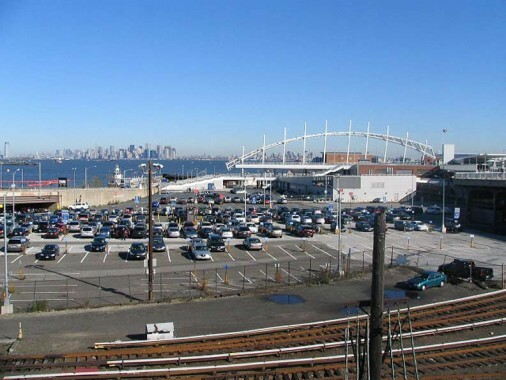 It is New York City’s only true waterfront railroad-ferry terminal; Staten Island Rapid Transit has run passenger service from St. George since the 1880s. 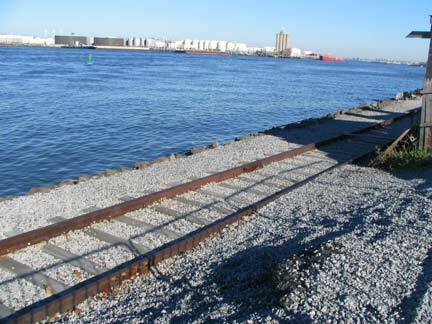 Staten Island Railway, formerly known asStaten Island Rapid Transit, extends from the Terminal to Tottenville. There are two defunct branches along the North and South shores of Staten Island; the North Shore branch, which made its last passenger runs in 1953, still has a number of extant remnants, as we will see. 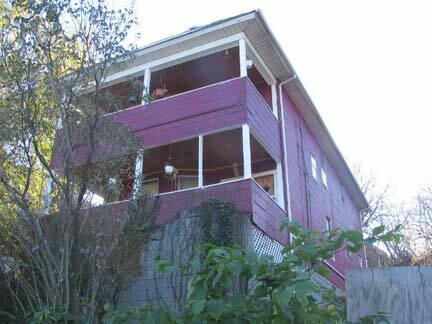 The South Shore branch, which ran to Wadsworth Avenue in South Beach (a tiny, wooden platform that could only accommodate one or two cars) has by the early 2000s been almost completely built over by new construction. 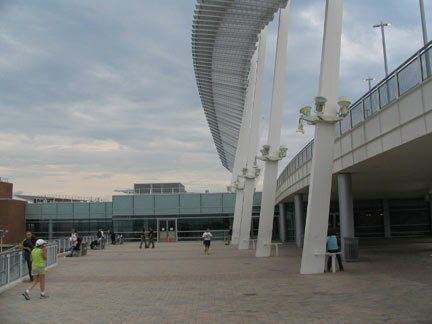 In 2000 a short spur of the North Shore branch was raectivated to bring fans to the new Richmond County Bank Ballpark, which houses the New York Yankees’ Single-A affiliate. 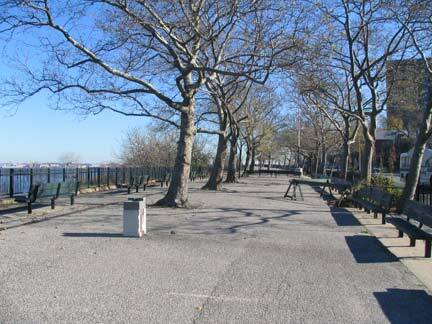 Perhaps the best part about the ferry terminal reconstruction was the extended walkway north and west along the shoreline from the terminal that ultimately joins with the North Shore Espalanade, which runs along Richmond Terrace from Borough Place to Westervelt Avenue. In this area Staten Island is a two-tiered cliff that looks out over New York Bay and up to Staten Island’s series of high hills: Grymes, Emerson and Todt Hills. Richmond Terrace, originally known as Shore Road, is built on a terrace that divides the shoreline from the steep hills. 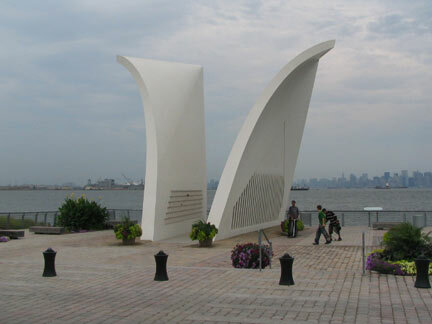 The shore walkway leads to Masayuki Sono’s sobering 9/11 memorial, “Postcards,” a tribute to the 252 Islanders perishing in the terrorist attack. 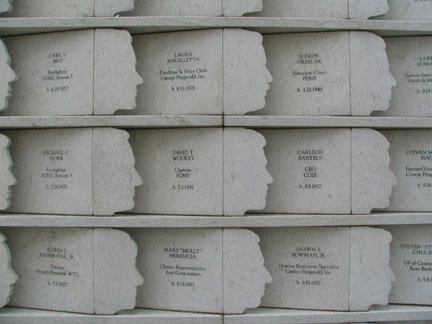 Two granite slabs (the “postcards) feature embedded profiles of the victims. Cosntruction on the memorial began September 11, 2003 and dedication came a year later. In Manhattan, politics, money and design issues have combined to stall construction of the city’s official 9-11 memorial at “ground zero” for five years and counting. 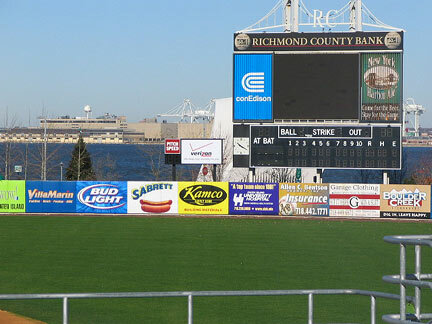 Staten Island did receive a minor league baseball team when the Yanks’ Single A affilate moved to Staten Island for the 1999 season, playing at the College of Staten Island for two seasons before moving to Richmond County Bank Ballpark (Richmond Terrace at Wall Street) for the 2001 season. The World Trade Center formed a dramatic backdrop beyond the center field fence that first season. The S.I. 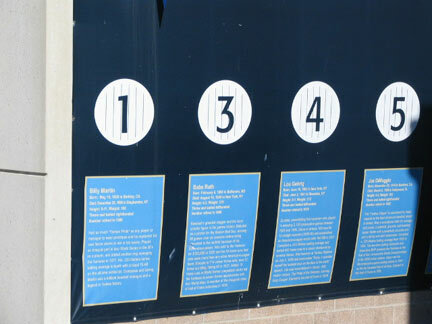 Yankees have consistently finished in first place in the New York-Penn League, with its most successful players being Wily Mo Peña, who has played for the Cincinnati Reds and the Boston Red Sox, and Chien-Ming Wang, a 19-game winner for the New York Yankees in 2006 and current (2012) Washington National. 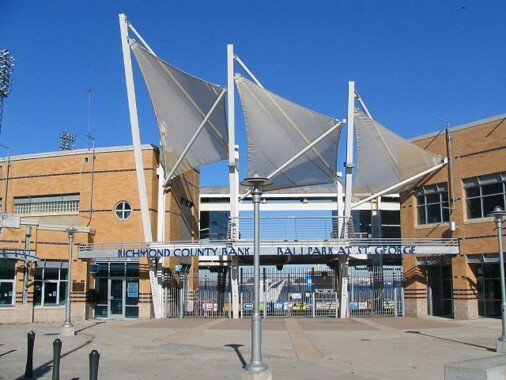 Wikipedia: Richmond County Bank Ballpark was part of a deal with both the Yankees and New York Mets, brokered by then-Mayor Rudy Giuliani. Due to Major League Baseball territory rules, the Yankees and Mets have veto power over each other (and any other Major League Baseball franchise), if they want to bring an affiliated minor league team in to the New York City metropolitan area. The Yankees and Mets had attempted to move minor league teams to the area in the past, only to be turned down with their rival. With help (and public money) from the mayor, both teams agreed to allow each other to have a minor league team in the city in return for new stadiums. The Mets moved a franchise to a new stadium in the Coney Island section of Brooklyn, which is called KeySpan Park. 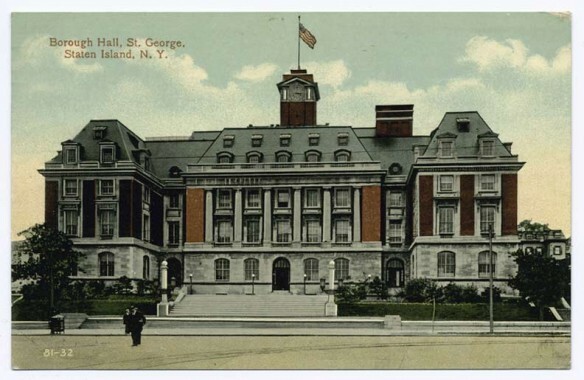 It’s quite possible that Staten Island has the most distinctive borough hall between Brooklyn’s, Bronx’s, and Queens’, though Brooklyn Borough President Marty Markowitz would probably vigorously argue with you about Brooklyn. The sun was at a bad angle this November day when I shot the Terrace, so I decided to show a 1910 postcard view of the magnificent John Carrere and Thomas Hastings edifice, completed in 1906. 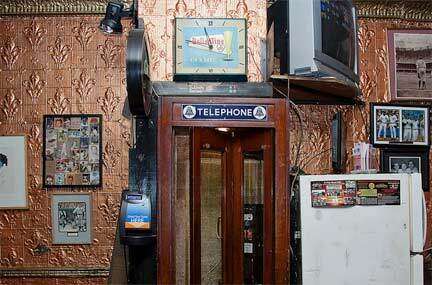 It doesn’t look much different today. It houses the Borough President’s Office, offices of the Department of Buildings and other civic offices. On the inside, the grand marble lobby contains a series of significant WPA reliefs and murals painted in 1940 by Frederick Charles Stahr, illustrating events in Staten Island history (your webmaster has never seen these, and wouldn’t mind getting a look at them someday). 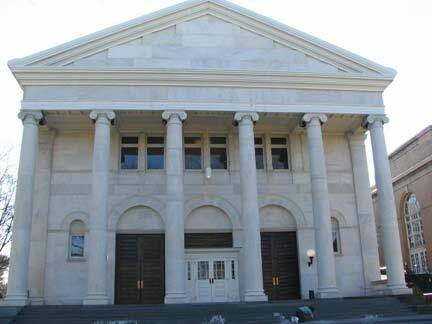 SI Borough Hall sits where Richmond Terrace meets Bay Street and Borough Place. The county courthouse, completed by Carrere and Hastings 13 years after Borough Hall opened, is now on the right of this picture. Richmond County Family Courthouse, Richmond Terrace and Hamilton Avenue, built 1933. 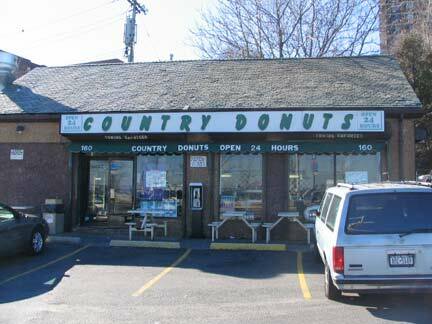 Country Donuts, Richmond Terrace and Stuyvesant Place. The chocolate glazed are pretty good. Along the south side of Richmond Terrace, facing New York Bay either side of Nicholas Street, you can spot several frame houses built approximately 1875 in several states of repair. Enjoy them while you can. 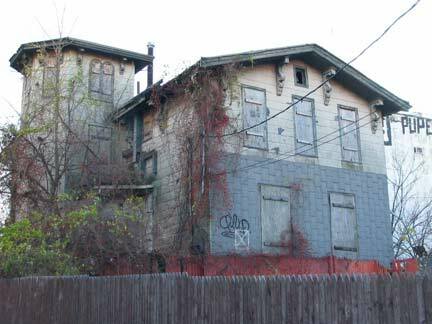 One of them has already been replaced by an empty lot, most likely to be replaced by a fresh batch of Fedders Specials. 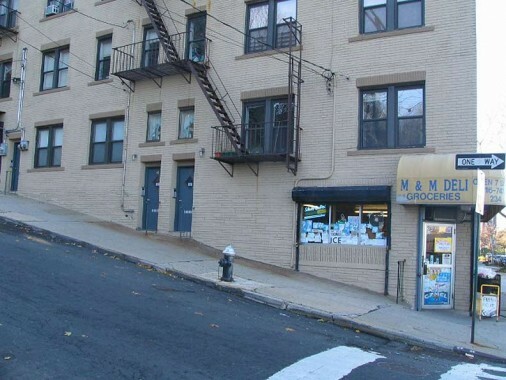 Nick the Slick: Nicholas Street ascends what must be a 40-degree angle hill to St. Marks Place, enough of an angle that the second story on Richmond Terrace quickly becomes ground level. 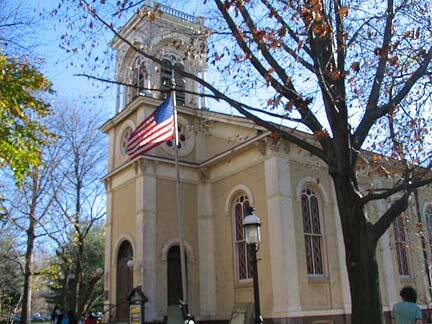 Though an early Staten Island governor, Thomas Dongan, was a Catholic, the first Catholic church on the island, St. Peter’s, wasn’t organized until 1839 in a gun factory in New Brighton; at the time the church served Staten Island’s north shore and South Amboy and New Brunswick, NJ! The present St. Peter’s, with its magnificent campanile fronting on St. Mark’s Place, was built in 1903 with the tower finished in 1919. 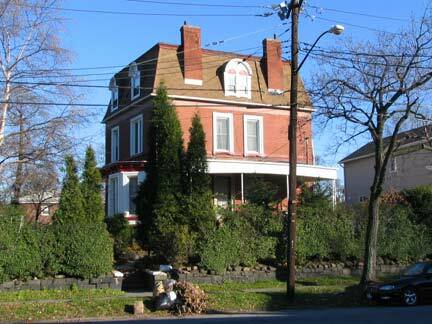 A grade school and girls’ high are near the church on Richmond Terrace, with the boys’ high on Clinton Avenue to the west. 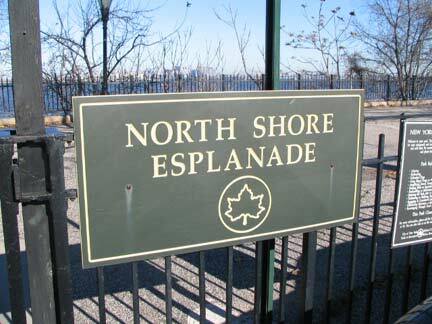 The North Shore Esplanade runs on the north side of Richmond Terrace between Borough Place and Westervelt Avenue. 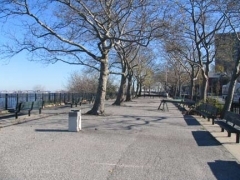 It’s a wide, concrete tree-lined space and the only waterside esplanade, except for Faber Park in Port Richmond, on the Terrace. From the looks of things, it seems to date to the Works Progress Administration days in the 1930s. 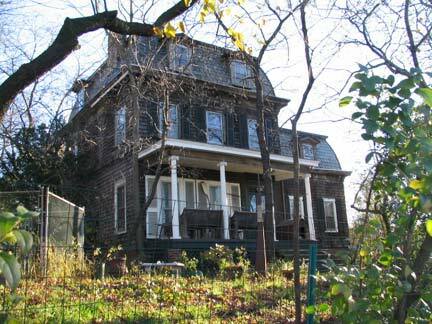 Pavilion on the Terrace, an 1835 Greek-columned building developed by Thomas Davis, is the last surviving of ten such buildings along Staten Island’s north shore. 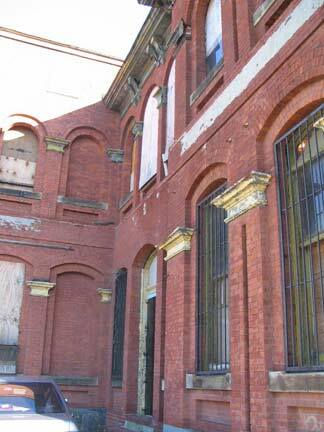 It was formerly a Knights of Columbus hall and the Henry Robertson mansion. 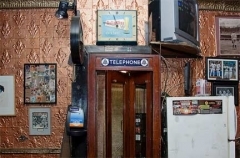 In its current incarnation as a wedding reception/banquet hall, it offers a ballroom, fireplace room, Oriental cocktail lounge, Victorian bar and small bridal room. 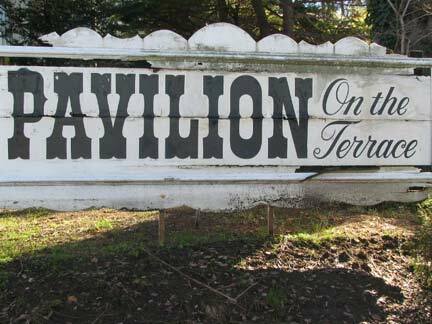 Your webmaster has attended plenty of wedding receptions (none as a groom, girls) and probably my favorite was at the cozy Pavilion in 1988; it was like visiting someone’s home, which, of course, it used to be. 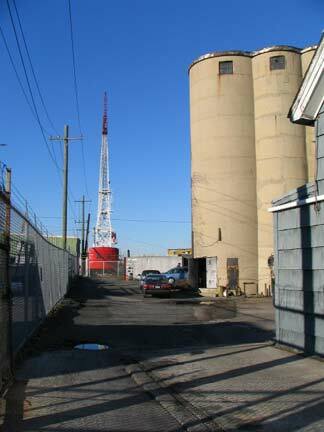 West of Westervelt (there’s no Eastervelt) Richmond Terrace becomes much more gritty and industrial, with long stretches of still-functioning and abandoned warehouses, maritime industries and factories. 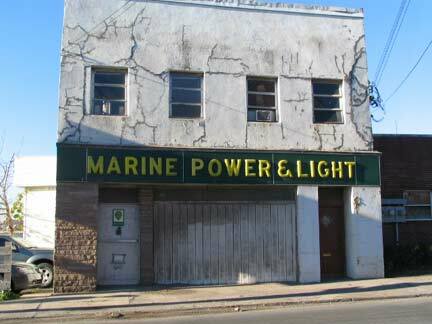 But along this stretch in New Brighton, just south of the Terrace you’ll find some of the island’s most beautiful and eclectic architecture…sure to become the subject of a Forgotten New York page. Jersey Street reaches Richmond Terrace at this ancient mansarded pile, which somehow escaped being razed when the adjoining Richmond Terrace Houses were built. 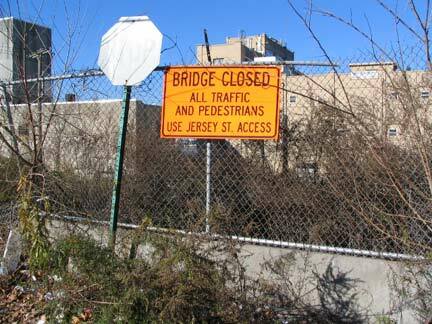 Opposite Jersey Street, Bank Street formerly bridged the old SIRT tracks to the industries at the water edge, but the bridge is not only “closed” but disappeared entirely, as has Bank Street, which the Department of Transportation continues to mark. 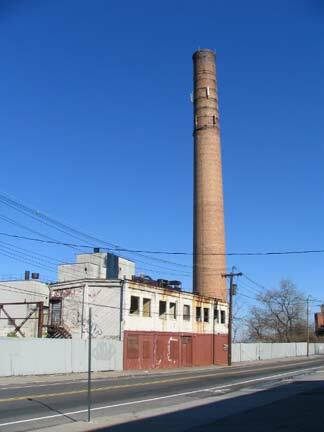 Opposite Franklin Avenue, a major artery into New Brighton, we find an abandoned factory and smokestack. Gerardi’s Farmer’s Market has set up on the exterior. 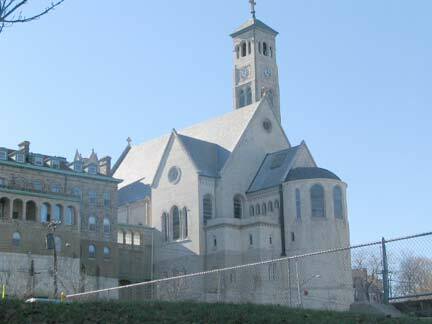 St. Peter’s recedes into the distance as we strike off toward West Brighton and Snug Harbor and Livingston beyond. Richmond Terrace in West Brighton, 1905-1910. 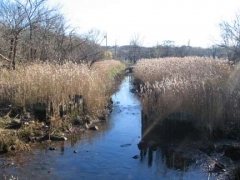 It was one of the few paved roads in the borough at the time. At Lafayette Avenue. Not the last plastic animal we’ll see on the Terrace. 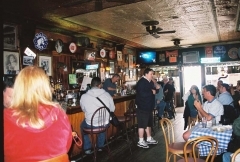 Liedy’s Shore Inn (Richmond Terrace west of Lafayette Avenue), which is billed as the oldest continuously operating tavern in Staten Island opened between 1900 and 1905 by Jakob Liedy and has remained family-owned since. 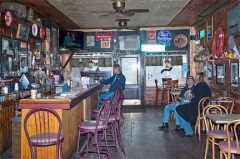 Stop in and tell Larry Liedy Forgotten New York sent you. 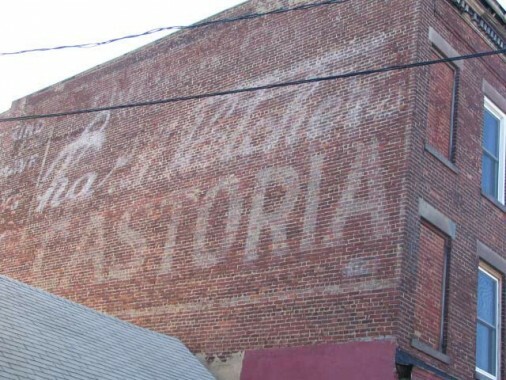 Believe it or not kids got tummy-aches in Staten Island too and Castoria, as in other parts of the city, has been up to the task. 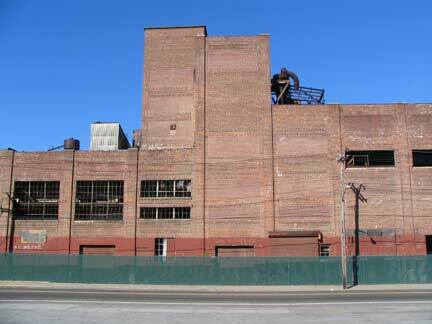 Brick building at Clinton Avenue and Richmond Terrace. 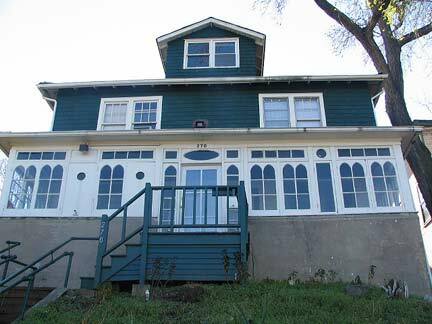 The Tysen-Neville House (or the Neville-Tysen House) at 806 Richmond Terrace near Tysen Street was built about 1800. 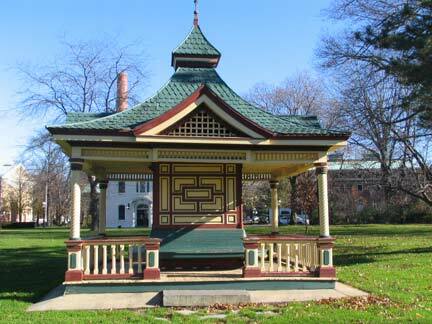 It acquired its porches and hexagonal cupola around 1910. 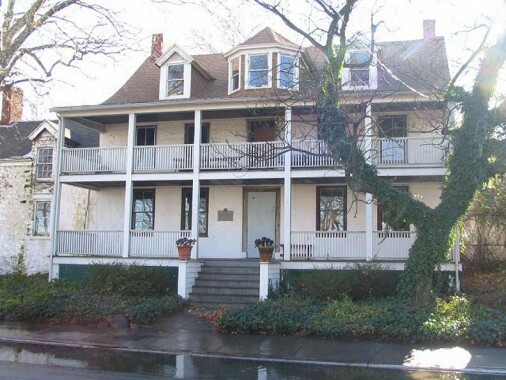 Sea captain John Neville built it between 1770 and 1800, while Judge Jacob Tysen used the downstairs as a courtroom during his tenure there in the 1800s. 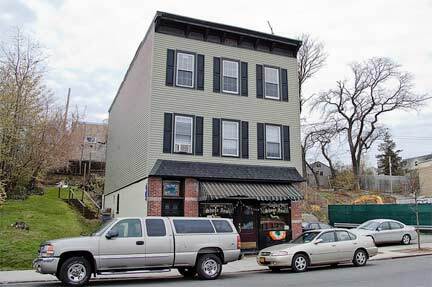 In the late 1800s, retired sailors from nearby Sailor’s Snug Harbor frequented a tavern located in this building, called The Old Stone Jug. It was saved from demolition in 1991 by a coalition including the NYC Landmarks Preservation Commission and Housing Services of NY, which provided a loan of $91,000 for repairs. 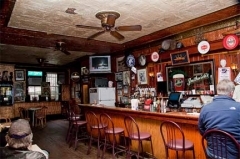 Owner John Landis, a guide at Historic Richmond Town who bought the property in 1995, restored the interior to the way it must have looked in the Colonial era: he has no central heat and must use the fireplace to keep warm. In a concession to the 21st Century, he does have electricity and running water. 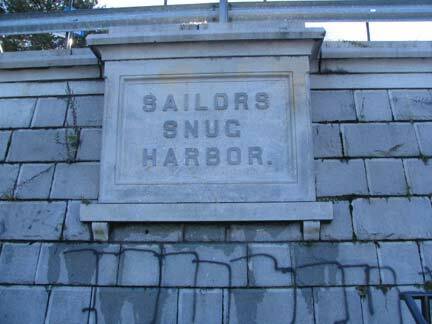 Sailors’ Snug Harbor, an 83-acre National Historic Landmarked District facing Richmond Terrace between Tysen Street and Snug Harbor Road, was founded in the Washington Square area of Manhattan by Robert Richard Randall when he specified that his fortune be left to the care of retired seamen without other means of support. Randall was the bachelor son of a privateer and knew well the toll a life at sea can take on the body and psyche. 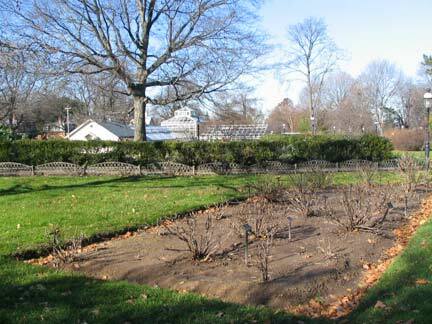 After Randall’s death in 1801, over twenty years was spent in adjudicating claims to Randall’s fortune, and by 1821, lower Manhattan had grown considerably and land for the sort of retreat Randall had had in mind was unavailable. 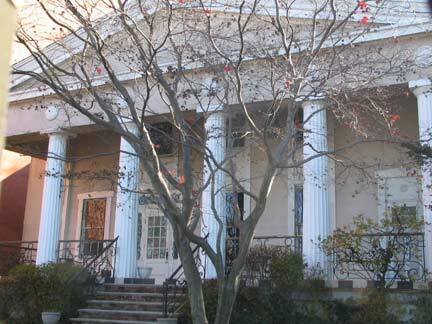 But there was a solution in Staten Island: Snug Harbor trustees purchased Isaac Housman’s farm in then-rural Richmond County in the 1830s, and architect Minard Lefever was commissioned to build Snug Harbor’s magnificent Greek Revival edifices, only some of which remain today. 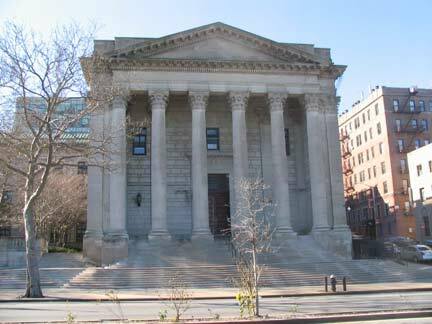 The Music Hall was built in 1892, the year after Carnegie Hall, making it the second-oldest concert hall in New York City. 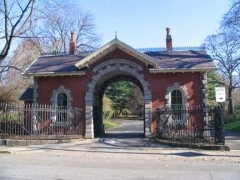 Opened to provide the Snug Harbor residents with a variety of entertainment, from vaudeville and theater to lectures and motion pictures, it was closed in the mid 1960s as part of the downsizing of the charity. 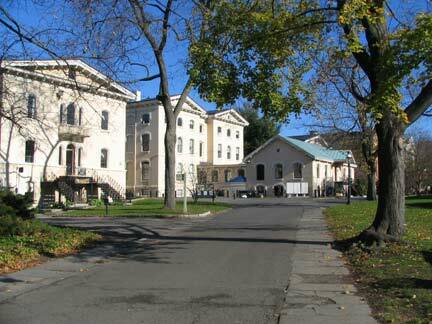 Visitors to Snug Harbor get two for the price of one, since Staten Island Botanical Gardens share the grounds. Best seen, of course, in season from April to October when everything is ablossom. 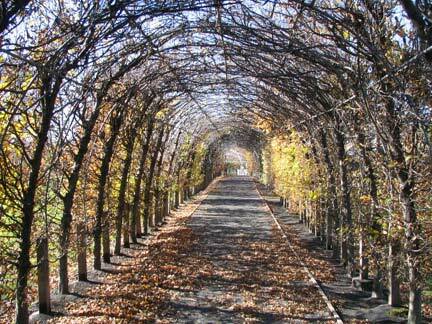 Highlights such as the Chinese Scholar’s Garden with its perennial greens, sculptures, and walkways, (which requires an extra fee) and the Connie Gretz Secret Garden with its hedge maze, are enjoyable year-round. 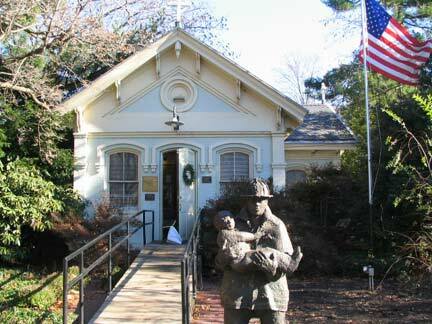 The FDNY Tribute and Education Center has hundreds of artifacts and photographs from the terrorist attack of 9/11/01, including photographs of every firefighter who perished that day and in the aftermath. 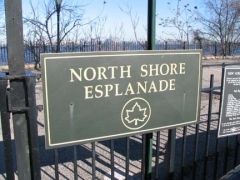 The operation of the original Staten Island Railroad was from Cranford Junction, NJ to St. George, Staten Island via the North Shore line, and then on to Tottenville or South Beach (via a cutoff at Bay Street and Greenfield Avenue). The passenger operation on the North Shore (Arlington–St. 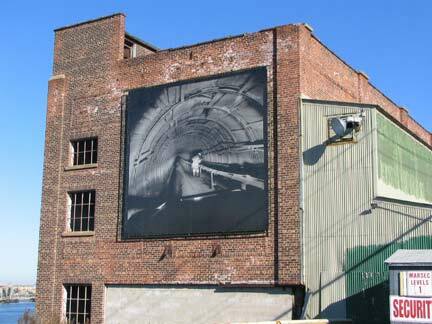 George) and South Beach line (St. George–Wentworth Ave) was eliminated in 1953. All of the bridges over the North Shore line remain, and were recently rebuilt by NYC DOT. 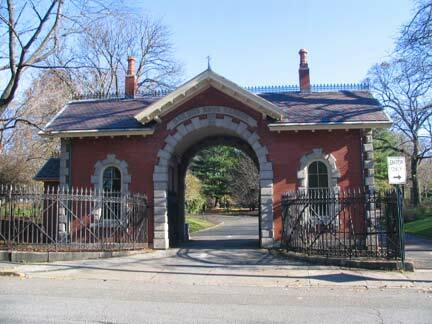 What is likely part of the Snug Harbor passenger station remains here on Richmond Terrace just west of Tysen Street. 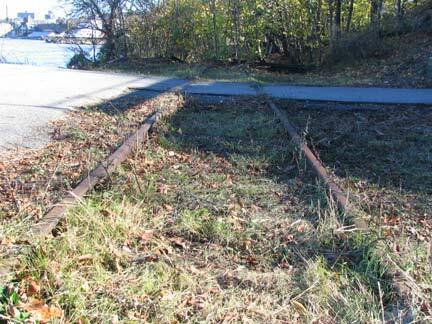 Some of the tracks can still be found in the weeds. 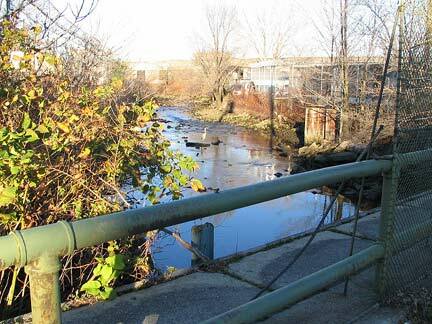 West of here, much of the North Shore Branch remains more or less intact. Snug tug. 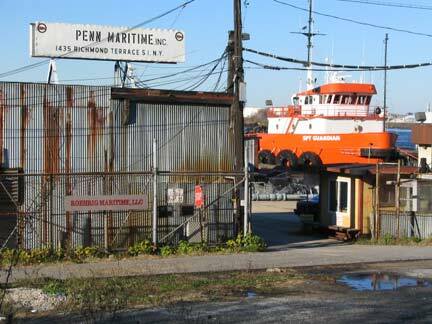 A tugboat plies Kill Van Kull past the old Snug Harbor SIRT station. 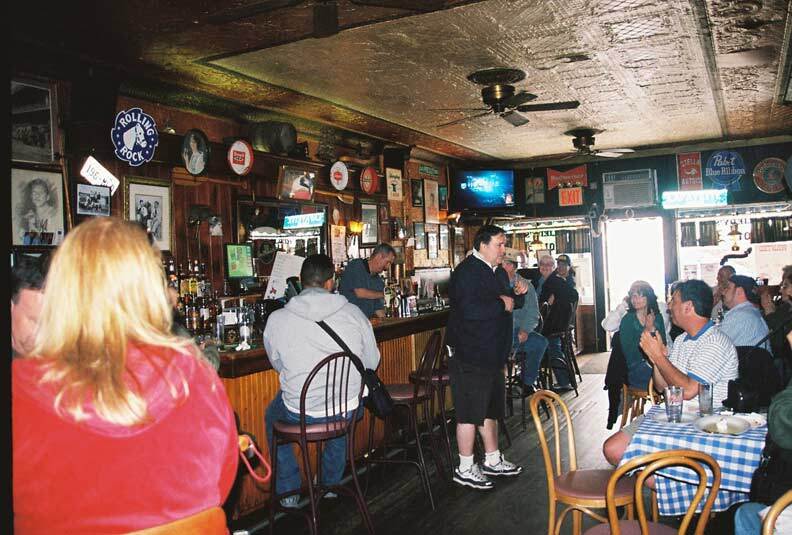 Your webmaster and friends usually swallow a few at R.H. Tugs, Richmond Terrace and Bard Avenue, after a particularly “grueling” Snug Harbor walk, avoiding all the grizzled ghosts of retired sailors. The SIRT tracks behind the restaurant have been restored, perplexingly; freight service on the line is years away from restoration. 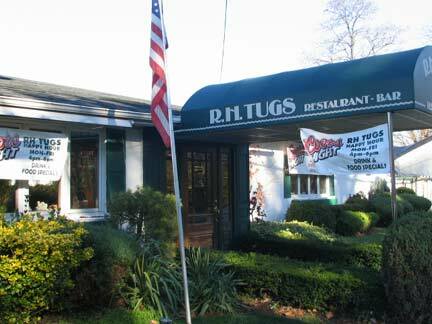 It’s likely R.H. Tugs’ management paid for the restoration. It’s relaxing to sit facing the Kill Van Kull and watch the huge tankers motor past. 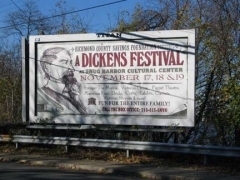 Other sites on Richmond Terrace in the Snug Harbor vicinity are an unnamed stream that feeds the lake at the Chinese Scholars’ Garden; Snug Harbor Road, which twists toward the chalet-like brick main gate; a World War II memorial for those from Livingston (the area just west of Snug Harbor) who served; and a billboard ad for a Dickens festival, November 2006. 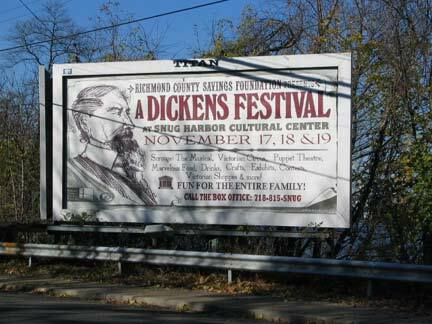 There’s a handsome Con Ed facility facing the water on Richmond Terrace at Davis Avenue, but the real interest for me is the street sign. 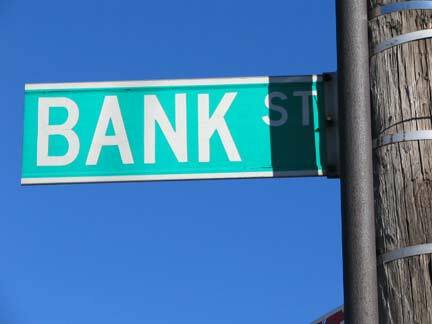 The DOT usually adopts a no-nonsense policy when installing street signs, preferring to just list the name, with no explanation provided anywhere else. This, of course, means that the person so honored pretty much remains completely unknown. 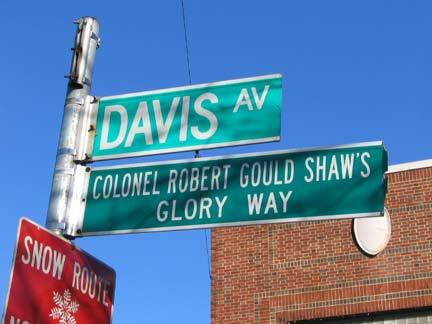 Here is memorialized Colonel Robert Gould Shaw (1837-1863), the first commander of an all-black regiment, the 54th Massachusetts Volunteer Infantry, organized in March 1863 by the Governor of Massachusetts, John A. Andrew. 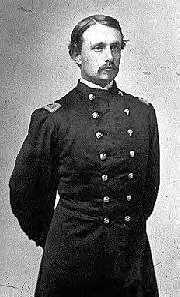 The 54th fought valiantly at an assault on Fort Wagner in Charleston, SC on July 18, 1863, though failing to capture it. Shaw was killed, but Sgt. William Carney became the first African-American to win the Medal of Honor, though he was awarded it decades after the battle in 1900. 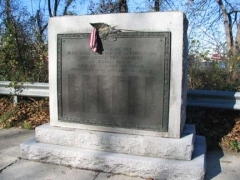 A grand monument to the 54th Massachusetts regiment can be found in Boston Common, constructed 1884-1897 by Augustus Saint-Gaudens, and by a fictional account in 1989, Edward Zwick’s film “Glory.” Denzel Washington won a Best Supporting Actor Academy Award in his role as a fictitious character, escaped slave Trip (most of the 54th were in reality free blacks.) Matthew Broderick played Shaw. 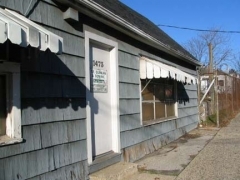 Though born in Boston, Shaw moved to Livington, S.I. with his family in 1846. 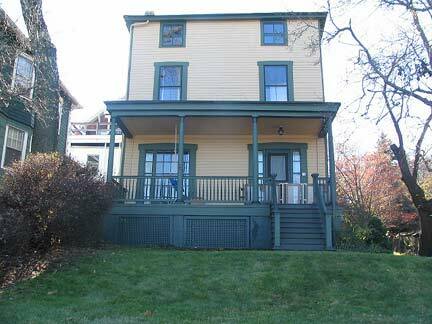 His sister, Anna, married prominent abolitionist George W. Curtis; they lived in ahouse at 234 Bard Avenue, which still stands. 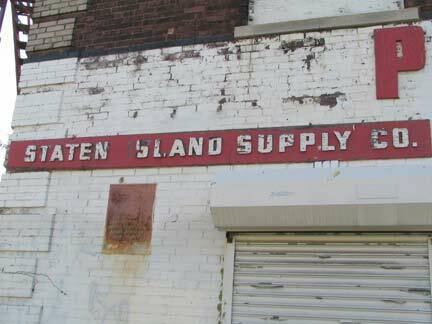 In the Civil War era, however, Staten Island generally supported the South. 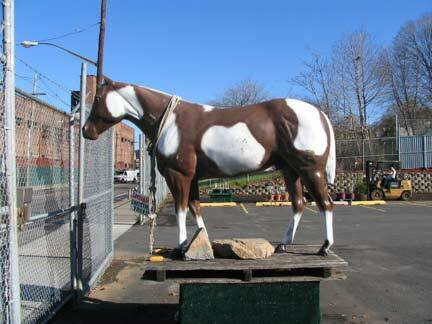 Shaw has a monument in Moravian Cemetery at the bottom of Todt Hill and he is also memorialized at Mount Auburn Cemetery in Cambridge, MA. 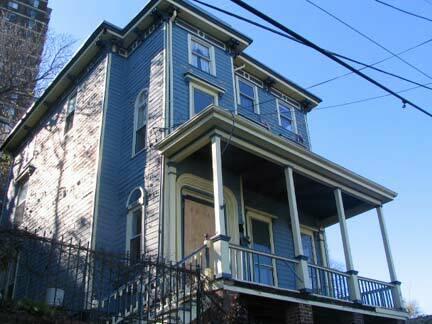 One of Staten Island’s oldest homes is the Cornelius Cruser House, at 1262 Richmond Terrace near Pelton Avenue. 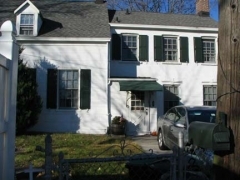 Like many of New York City’s oldest colonial-era homes, it was originally a very small dwelling that was added to by successive owners over the years. 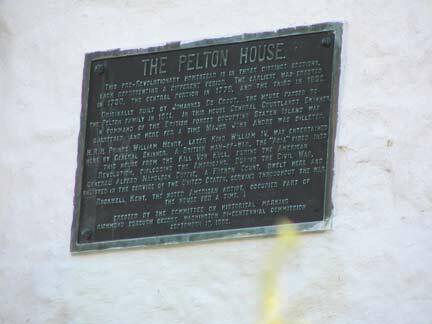 The oldest part of the Cruser House was a stone cottage built in 1722 by the Dutch immigrant Cornelius Van Santvoord; Cruser added the central section in 1770, while Daniel Pelton built the two-story brick section in the 1830s. The plaque appears on the Richmond Terrace side on the building’s original section. The house figures prominently in Revolutionary lore: it was occupied by General Courtlandt Skinner of the American Tories, and he, in turn, put up Prince William Henry, who later became King William IV of England, Queen Victoria’s predecessor. 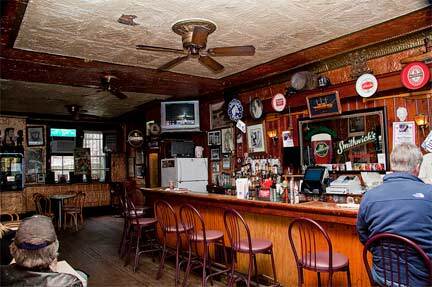 Legend has it that the infamous Major John Andre, the spy, also stayed here. 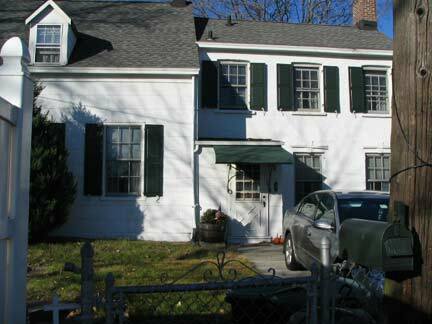 Renowned American artist and author Rockwell Kent (1882-1971) lived for a short time here. 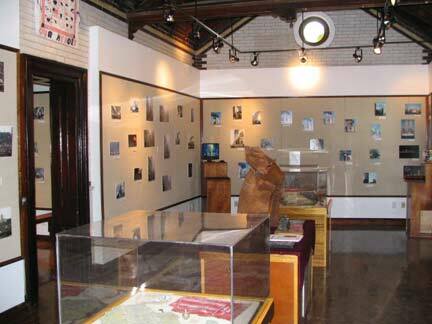 Some of his work is displayed at nearby Snug Harbor. 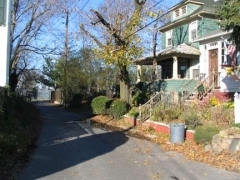 Pelton Avenue narrows to one sidewalk-less lane at the east side of the house. 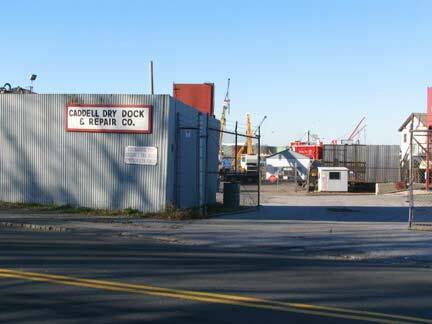 One of NYC’s shrinking number of ship repairers, Caddell Dry Dock has been in Staten Island for over 100 years. 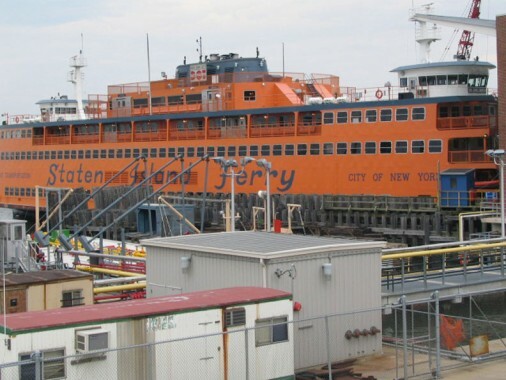 The Staten Island Ferry is a client. Caddell recently had an exhibit at the Staten Island Museum. Richmond Terrace makes many severe curves as it follows the original shoreline along Staten island’s north shore. 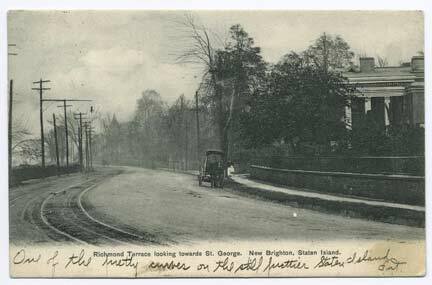 Waterside mansion, Richmond Terrace and Bement Avenue. 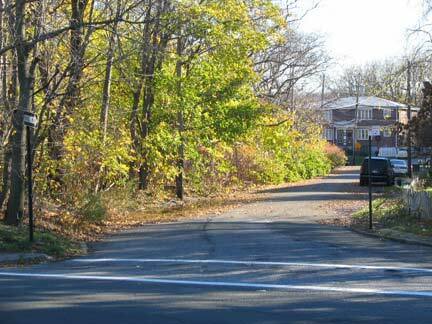 Along with Clove Road, Bement (pronounced BEE-ment) is a main route to Clove Lakes Park and mid-island. 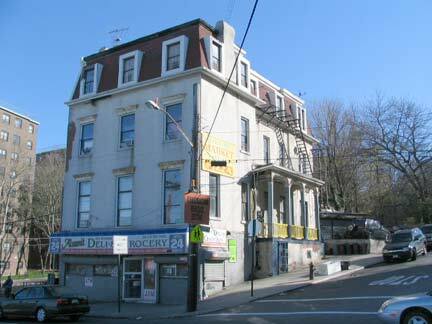 This could be the former headquarters of The Staten Island Athletic Club, which was located at Bement and Richmond Terrace in the late 1890s. 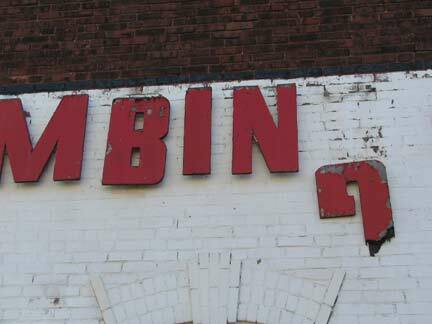 … because of the old school wooden signs. 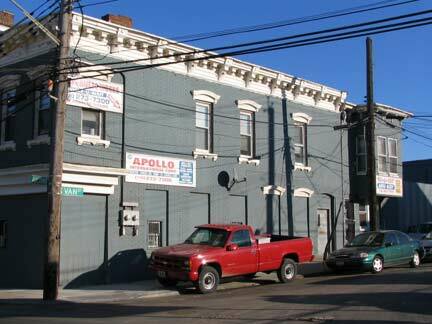 Another very old building, this one at North Burgher Avenue. With some unfortunate roof alterations though. 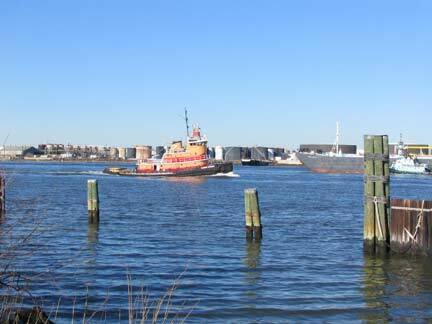 One of Richmond Terrace’s waterside industries, Penn Maritime Inc. currently owns and operates 20 barges and 14 tugboats making it the largest U.S. coastal transporter of petroleum-based products. T.F. Quinlan & Son is a major boiler repair and fuel oil wholesaler. You can spot an old “Esso” logo on the shed roof. Exxon Mobil Corporation is the parent company of the Esso, Mobil and ExxonMobil companies; the Esso brand changed to Exxon in the USA in 1972. 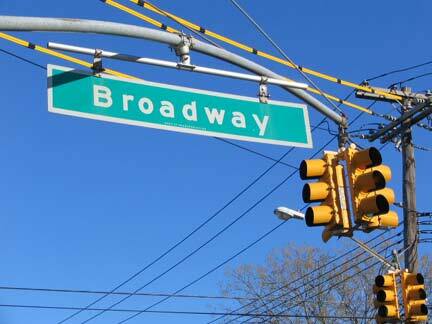 All five boroughs have a Broadway (though the Bronx’ Broadway is a northern extension of Manhattan’s). 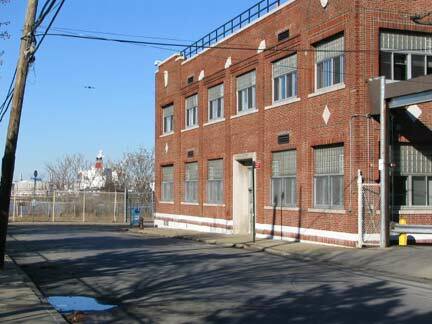 Brooklyn’s is in Williamsburgh and Bushwick, while Queens’ is in Long Island city and Elmhurst. 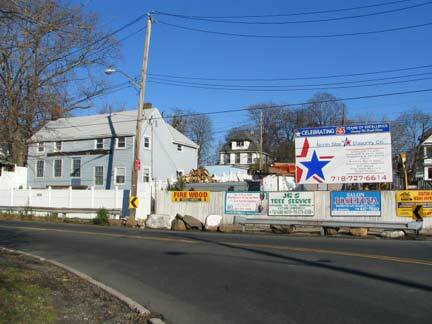 Staten Island’s, in Livingston and West Brighton, is the shortest of any borough’s. 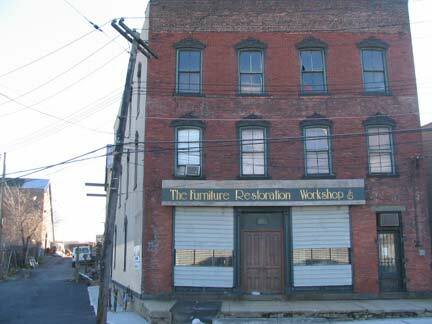 Furniture Restoration Workshop, in another of the Terrace’s 19th-Century buildings. 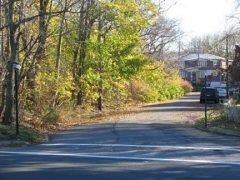 Barrett Lane, a dead end, is at left. The Terrace takes yet another severe turn west of Broadway. More aged architecture at unusually-named Van Street. Usually “Van,” “from” in Dutch, is a prefix to another name, Van Sicklen, Van Horn, etc. 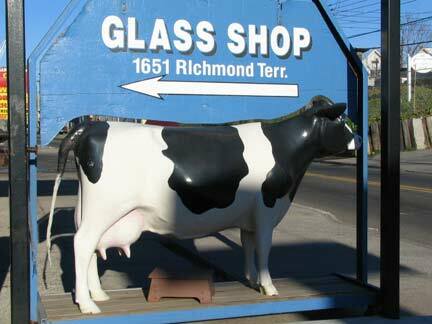 … and a plastic cow, which was probably excluded from the Cow Parade promotion in 2000. 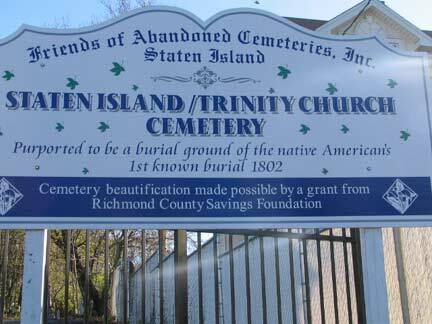 Staten Island-Trinity Church Cemetery is on the Terrace east of Alaska Street between a couple of auto body shops, set back from the street. 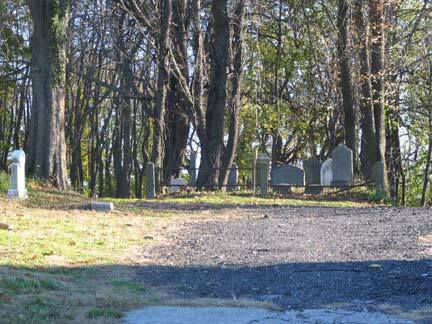 It used to be easy to get into it, with vandal attacks, but Friends of Abandoned Cemeteries has cleaned it up and installed a locked fence — which I’m not pleased about, since I used to be able to walk right in. About a dozen mansions like this one at Alaska Street — most, unfortunately for photographers, surrounded by trees and vegetation — dot the Terrace. This one, between Bodine Street and Clove Road, has fared a little worse. 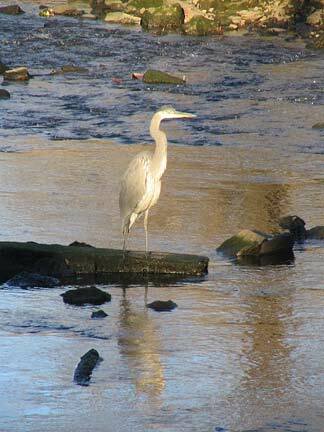 I’m unsure what the inlet just west of Rector Street is called…Palmer’s Run or Bodine’s Creek…but whatever it’s called, I found a great blue heron in it. 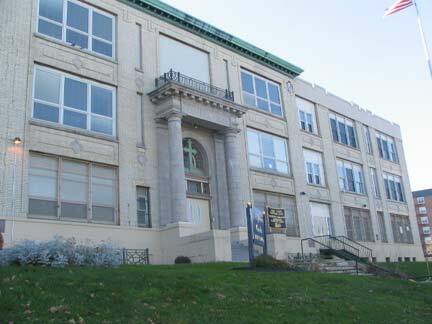 St. Peters Girls High School and Elementary School are no longer in existence. Summer 2011, I think. Too bad, I attended 1st. through 3rd. grades at St. Peter’s. Lived at 240 Richmond Terrace in the 60’s. 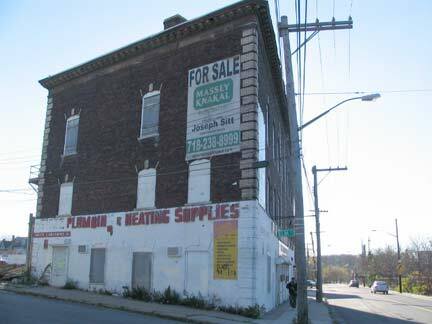 The pictured brick building at Clinton Ave and Richmond Terrace was purchased by my great great grandfather in 1883 and used to house Tanks Tavern on the ground floor. 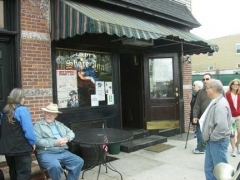 This was a favorite watering hole of the sailors from Snug Harbor. 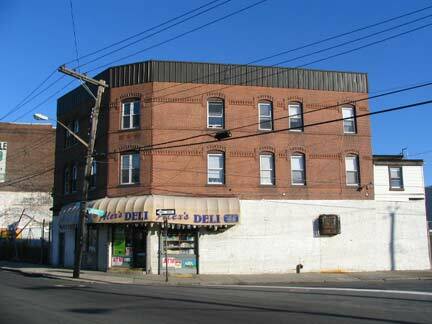 Today it is a nicely updated structure and home to a pizzeria. I enjoyed your photos and commentary. Thank you. 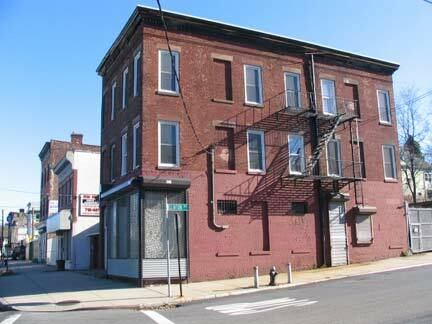 Do you have any idea how I can get information on the building of the Richmond Terrace housing project. I’m doing research for a friend who wanted to see the street maps there before New Street disappeared. Major League baseball was played in SI in the 1880’s At St.George Grounds. I am looking for old photos or postcards (pre – 1900) of a building which was located on the corner of Richmond Terrace and Broadway. It was the site of the Staten Island Bank from 1838-1842 and was described in “Morris’s memorial history of Staten Island” in 1900 as “two-story frame structure still standing at the junction of Richmond terrace and Broadway”.